One of my friends just married a Brazilian guy, so I get to reap the benefits of learning all about Brazilian food. 🙂 A few weeks ago, we hit up a local Brailizan store and scored these 2 delicious treats. Oh, man these things are to die for! Texture is amazing- crunchy outside with a gooey cheesy inside goodness. 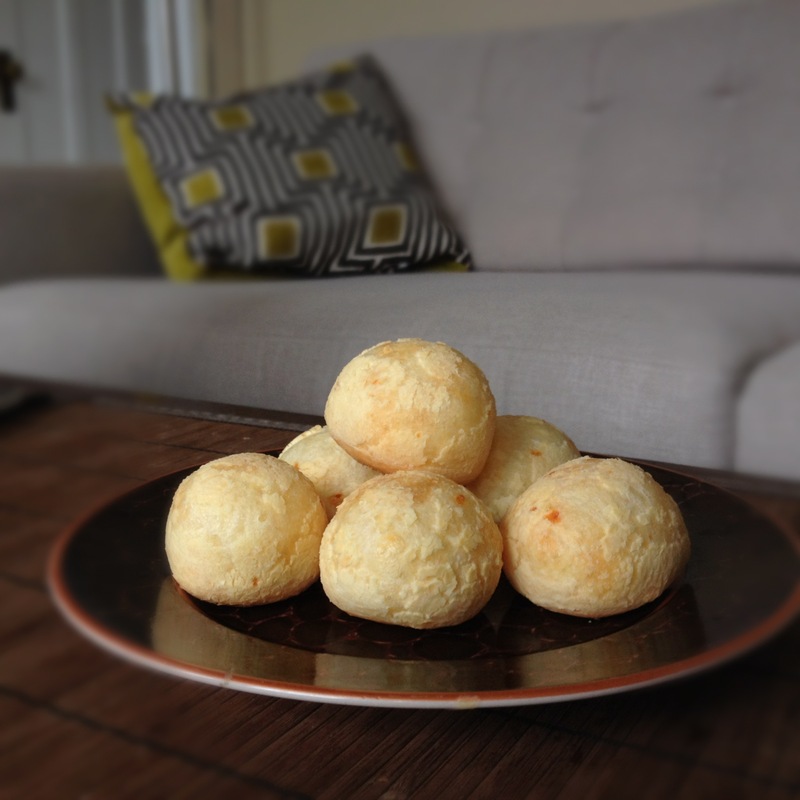 You buy them frozen (Forno de Minas was the brand I tried) and you pop them in the oven for 30 minutes. That’s it. Perfect as a starter or an app. Don’t know about you, but I’m not really sure what acai tastes like. Every time I get a fancy acai drink, it’s doctored up with so many other “cheaper” juices that the taste gets masked. Well, if you go to the frozen section in the Brazilian store, you can get pure acai. It’s perfect as a fruit smoothie. 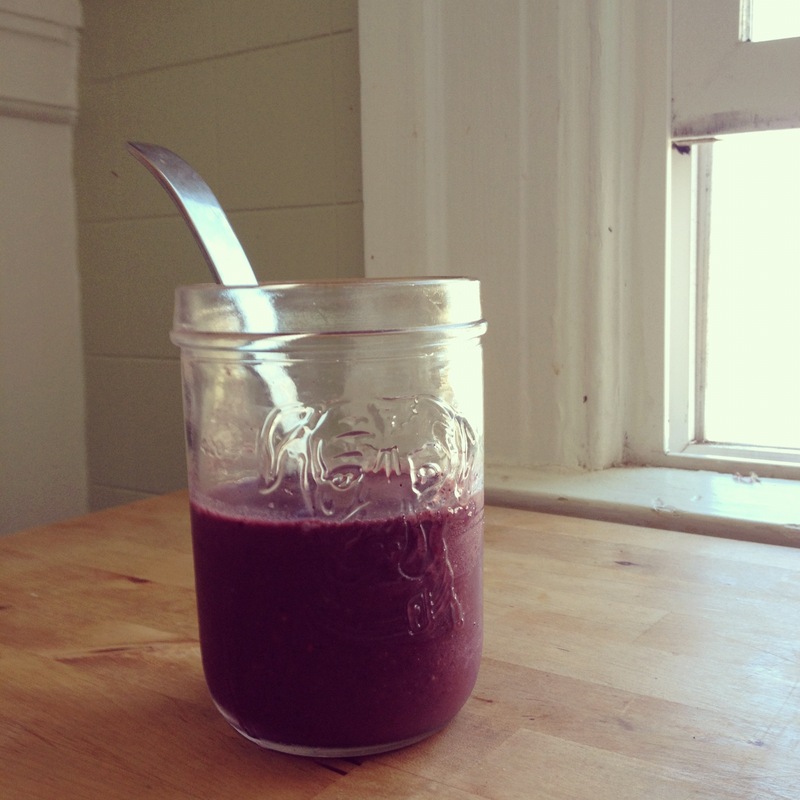 I like to add the acai to rice milk (and a handful of other berries if you want) and blend. To me, it tastes like a cousin to blueberries, but more full body and satisfying. Plus, they’re a pretty purple color and full of antioxidants! 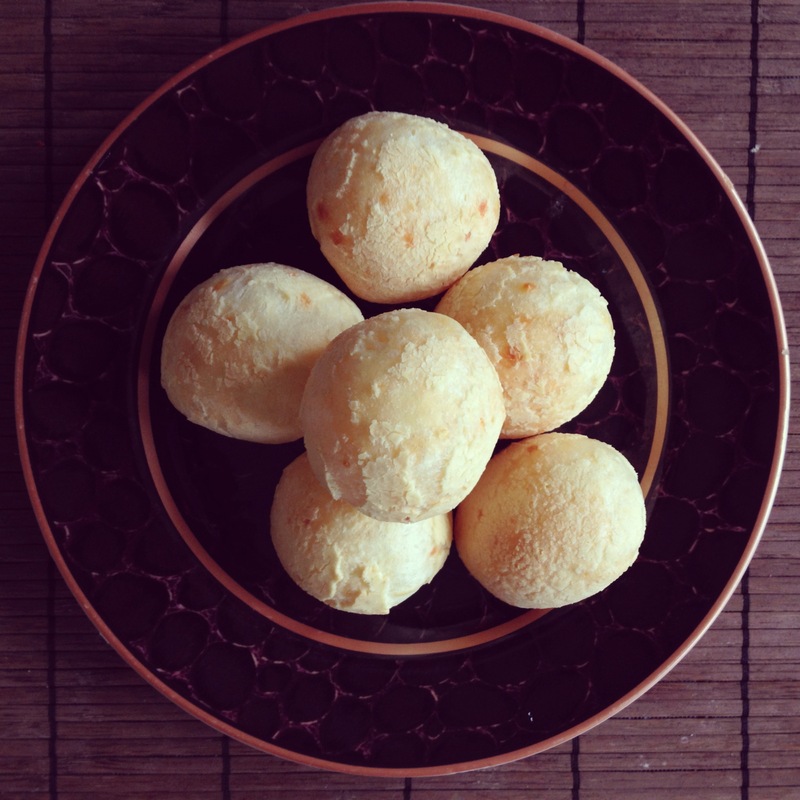 This entry was posted in Food and tagged acai shake, acai smoothie, brazilian cheese rolls, forno de minas, pao de quejo, pure acai by weninroam. Bookmark the permalink. Looks absolutely delicious! I’ll have to try this out!